Write Well Always: Frank Ramz. Unsigned Artist of the Week. 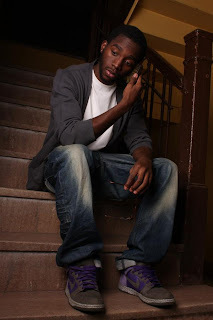 Our Unsigned Artist of the Week is Frank Ramz from New York. Frank Ramz displays an all encompassing and natural skill for rhyming along with a message for the genre of music he makes. Frank Ramz's wordplay and interesting metaphors come off smooth and eloquently, so much so that one may have to go through a few listens to notice some cleverly worded punchlines. His rhymes have even garnered approval from fellow rappers like Charles Hamilton. His criticism of the Hip Hop community as it stands today is not jarring and vengeful but full of intelligent and truthful insights. Coupled with sweet sounding production and his very different and intellectual style, Frank Ramz makes a very good case for why he deserves a chance to make it. My Favorites from Frank Ramz are "Cryptachronacuddalite" and "Dr. Scholl's Soul"